Can I File for Bankruptcy and Divorce at the Same Time? How Will My Divorce Be Affected by a Bankruptcy Filing? Divorce and bankruptcy often go hand in hand. Couples who are under severe financial strain often have difficulty in their relationship and find themselves considering filing for divorce and bankruptcy around the same time. If you’re considering both divorce and bankruptcy, it’s important to first understand the consequences of receiving a divorce settlement during your bankruptcy case. Read on to learn more about how a divorce settlement can affect your bankruptcy, and speak to an Illinois bankruptcy and family lawyer before you file. When you file for bankruptcy, you’re required to disclose all the property and other assets you own at the time you file. This is considered your bankruptcy estate. Typically, the court doesn’t recalculate your estate to include property you receive after you file. There are some exceptions to this rule—forms of property that, if received within six months (180 days) of a bankruptcy filing, will be considered part of your estate. One such form of property is a settlement received when your divorce becomes final. You need not actually receive the settlement physically, but only become legally entitled to it, for it to be considered part of your bankruptcy estate that is technically available to be used to pay back creditors. If you have used all your exemptions for property or assets you already owned before becoming entitled to a divorce settlement, the bankruptcy trustee may have the right to use some or all of the divorce settlement you receive to satisfy your debts. Some bankruptcy petitioners going through a divorce experience no complications when receiving their settlement. If the couple had few assets, or the petitioner had exemptions leftover when they receive their settlement, they can use those exemptions to cover the property they receive through the divorce. Additionally, alimony and child support do not qualify as assets that the bankruptcy trustee can use to pay back creditors, so divorcing petitioners need not worry about shielding these assets from the court. This issue can often present a problem where a debtor spouse receives the house in a divorce settlement. Many bankruptcy petitioners who are homeowners can use the homestead exemption to cover their half interest in their home’s equity. If the petitioner becomes legally entitled to all the equity in a home, however, the homestead exemption may no longer cover it. When this is the case, the bankruptcy trustee could become entitled to seize the home and sell it. Planning ahead with an attorney skilled in both bankruptcy and family law can help you protect against losing your most meaningful possessions in a bankruptcy case. 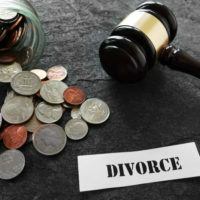 If you’re an Illinois resident planning to divorce or file for bankruptcy, find out how you can protect your interests when starting over by speaking with the dedicated, skilled, and compassionate Carol Stream divorce and bankruptcy attorneys at Johnson, Westra, Broecker, Whittaker & Newitt for a consultation, at 630-665-9600, with additional offices in St. Charles and Chicago.